 Nebst dem Weingut Brancaia in Chianti Classico besitzt die Familie Widmer seit 1998 das Weingut Brancaia in Maremma. Dieses wird wie das Weingut in Chianti von der Tochter Barbara geführt. Das Weingut liegt südöstlich von Grosseto, ca. 12 km vom Meer entfernt, und gehört zum Anbaugebiet von Morellino di Scansano. Die Rebfläche umfasst rund 40 Hektar. Der Name Brancaia in Maremma soll die enge Beziehung aufzeigen, die zwischen Brancaia im Chianti und Brancaia in Maremma besteht. Auch wenn die zwei Weingüter sich in vielem unterscheiden, gibt es doch eine grosse Gemeinsamkeit: ein engagiertes Kernteam, das sich mit einer klaren Philosophie unermüdlich für Qualität einsetzt. A blend of Cabernet Sauvignon, Sangiovese and Petit Verdot, the 2010 Ilatraia is a wine of gorgeous intensity and clarity. This muscular wine shows power and heft with thick tones of blackberry and cassis. Soft layering characterizes the finish. Anticipated maturity: 2014-2015.
his is pure and oh-so-silky, featuring flavors of black currant, violet and sweet spice, with a hint of tobacco. The supple texture is offset by refined tannins as this cruises to a long aftertaste of black currant and spice. Cabernet Sauvignon, Petit Verdot and Cabernet Franc. Best from 2014 through 2024. The 2014 Ilatraia is a terrific wine that represents a blend of 40% Cabernet Sauvignon, 40% Petit Verdot and 20% Cabernet Franc. This is a darkly saturated and rich Tuscan blend that delivers so much pleasure on all levels. There is softness, intensity, complexity and length. This is a stunning wine with excellent engineering and execution. This is definitely a wine I will remember. A lush, concentrated style, this red boasts plum, cassis, tobacco and spice flavors. Fresh and pure, with a dose of serious oak. Mouthcoating tannins and spice notes line the finish. Cabernet Sauvignon, Petit Verdot and Cabernet Franc. Best from 2019 through 2028. This is a very well done red from the vintage with blackberry, dark currant and hints of rose petal aromas and flavors. Medium to full body, very fine texture and a pretty finish. Very fine for the vintage. Drink or hold. The 2015 Ilatraia is a drop-dead gorgeous blend of 40% Cabernet Sauvignon, 40% Petit Verdot and 20% Cabernet Franc with all fruit coming from Brancaia's Maremma vineyards along the Tuscan coast. This warm vintage has shaped an exuberant and intense red wine that hits the palate with lavish richness. The complex bouquet is composed of dark fruit elements that are contrasted seamlessly against spice, sweet tobacco and campfire ash. Yet the mouthfeel is never too heavy or overextracted. There's a lot to enjoy here. Aromas of black licorice and blackberry. Blueberry, too. This is so complex. Full body, extremely silky and polished with lovely tannins. Deep and long. It seems powerful and rich yet ends so balanced and refined. A blend of cabernet sauvignon, petit verdot and cabernet franc.